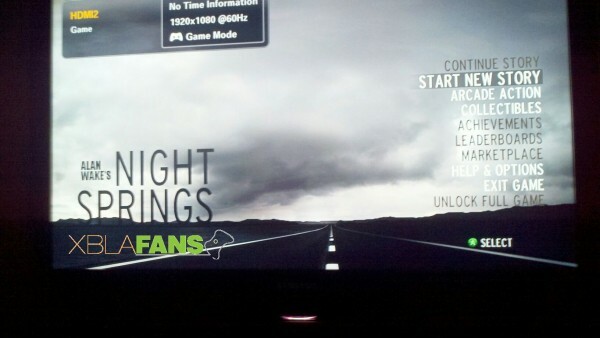 We originally broke the story back in May that Alan Wake would see new light in a downloadable title called Alan Wake: Night Springs (or rather Alan Wake’s Night Springs as our exclusive screenshot above shows). We now have more bits of information about when and where we’ll see more of this rumored title. First, Geoff Keighly tweeted that “Alan Wake returns” and that the game will be shown on the Spike Video Game Awards on December 10 and the December issue of Game Informer will have screenshots. Game Informer will also have the first images of the game on Monday on their website according to their News Editor Jim Reilly. Lastly, Remedy confirmed the details of the reveal at the Spike VGAs on their Facebook page. Keep your flashlight on XBLAFans for more details as news trickles out.